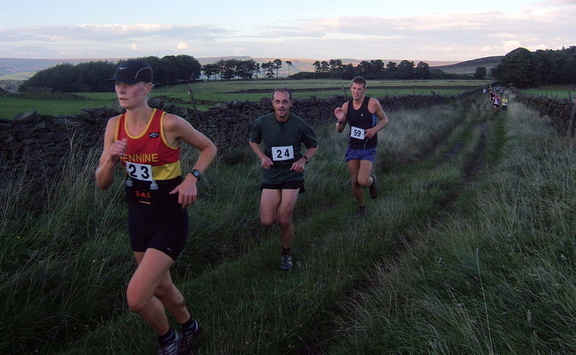 All English Championships after Pendle. Senior Men - 1st. but Keswick can drop their Borrowdale race if they get a big team out at Langdale. MU23:- Matt - 1st : Tom - 2nd. Final positions, so congratulations to both. Senior Men :- Rhys - 5th : Neil - 9th. M50:- Spyke - 2nd : Steve Bell - 10th. WU23 - Anna - 2nd : Ellie - 3rd. Final positions, so congratulations to both. W40 - Judith - 5th : Nicky - 6th : Helen - 8th. W45 - Judith - 1st= : Nicky - 4th . Two Championship races remaining, Merrick for the British and Langdale for the English.